Uptown Shelby’s tree-lined streets invite locals and visitors alike to a variety of independent businesses and top-notch attractions. Hear the music & stories of the American South at the Earl Scruggs Center, taste local produce at the Foothills Farmers’ Market, see a national act at the Don Gibson Theatre, discover local artists at the Cleveland County Arts Council and explore our quirky, fun local businesses. Between live music, great shopping, gallery shows, delicious food, and special events, there is always something fun to do in Uptown. Come enjoy the great combination of ambiance and options that make Uptown Shelby exciting! Explore our website for more information about the destinations, businesses, and events in Uptown Shelby. 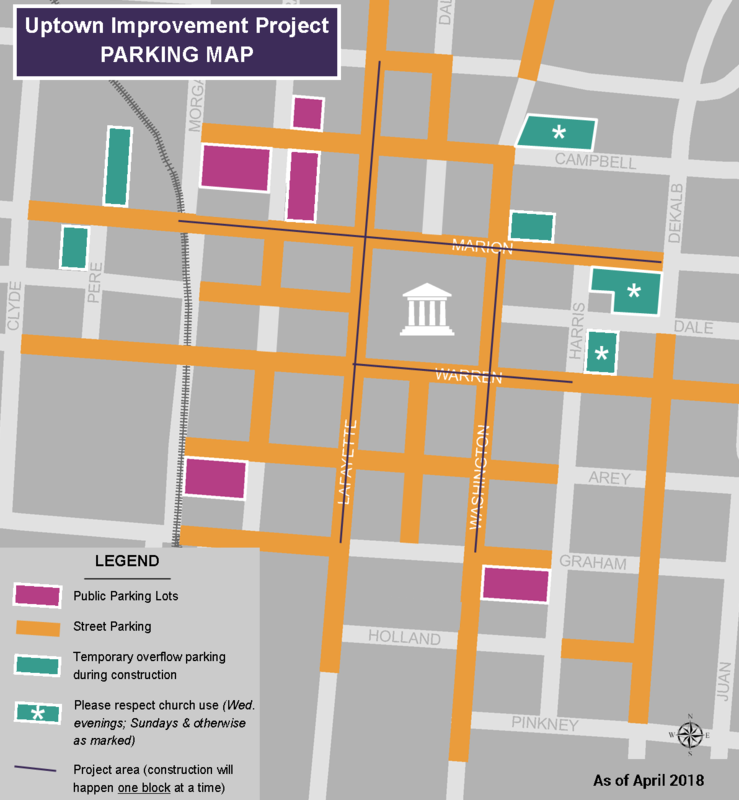 Explore Uptown with this map that shows parking as well as shopping, dining, attractions, art, and more. Click here to read about Uptown Shelby's growth over the last 10 years, and how our charming district is poised for continued success in the years ahead.